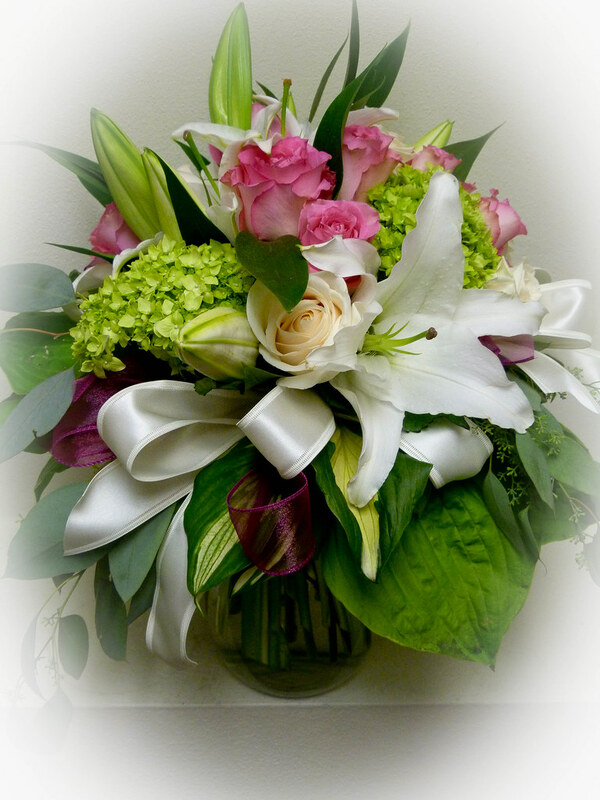 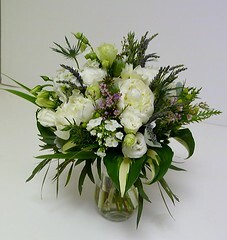 #28ED $100 Vase of Roses, Lilies, and green Hydrangea. 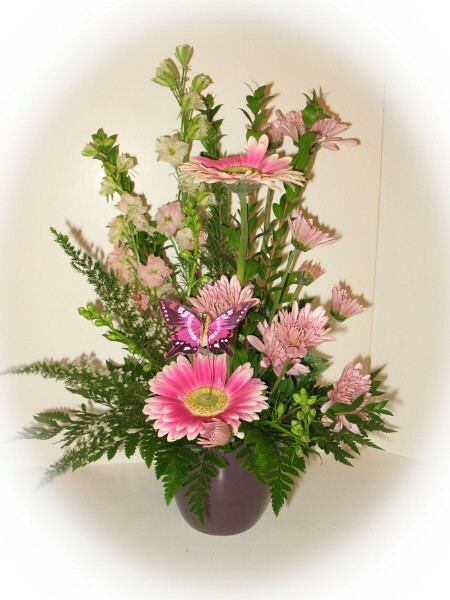 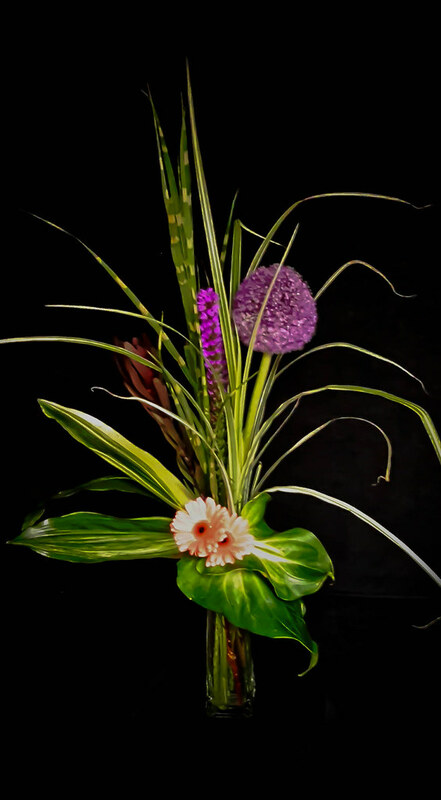 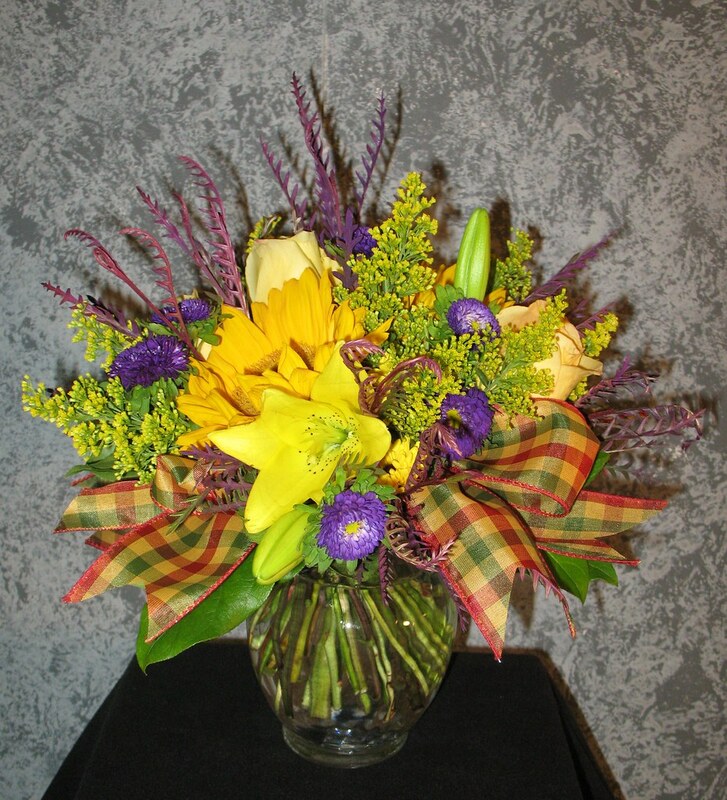 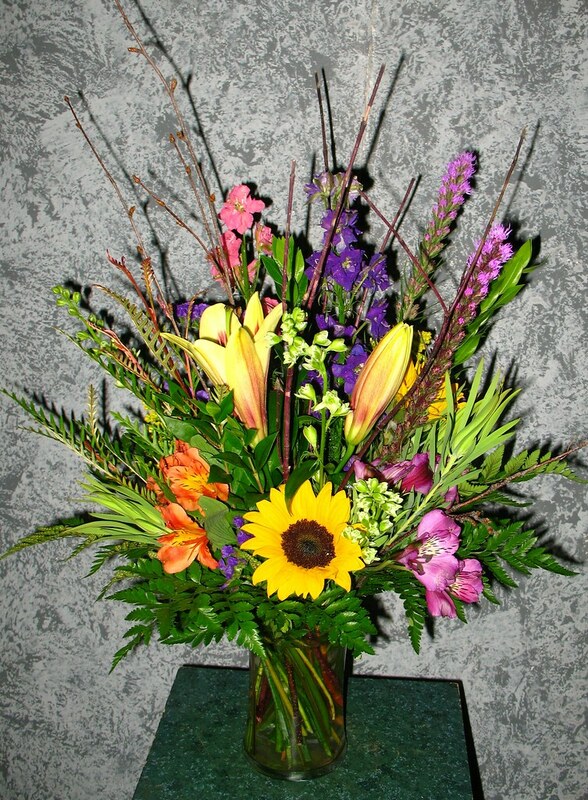 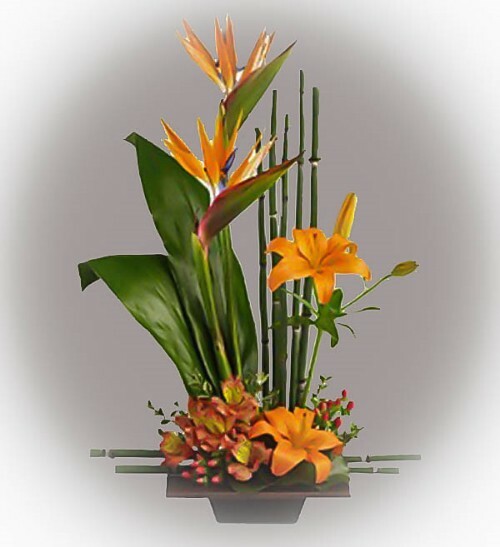 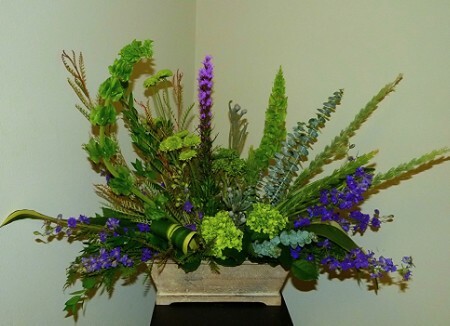 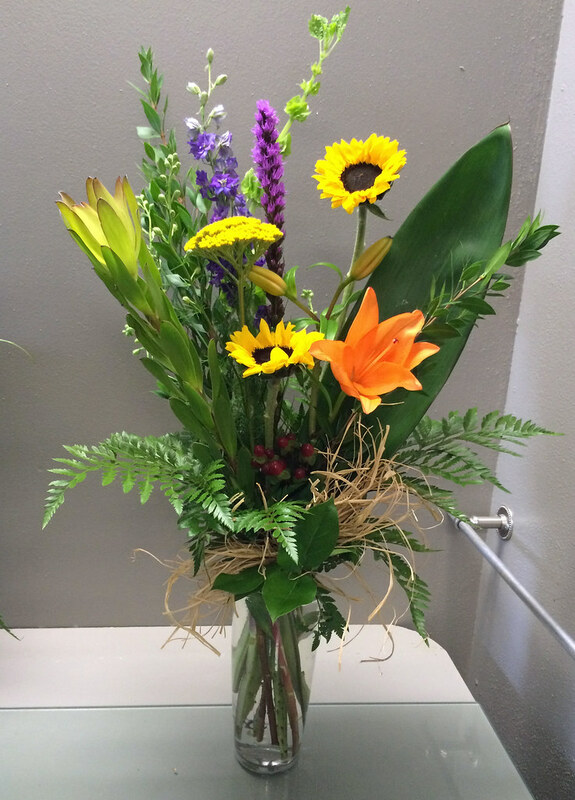 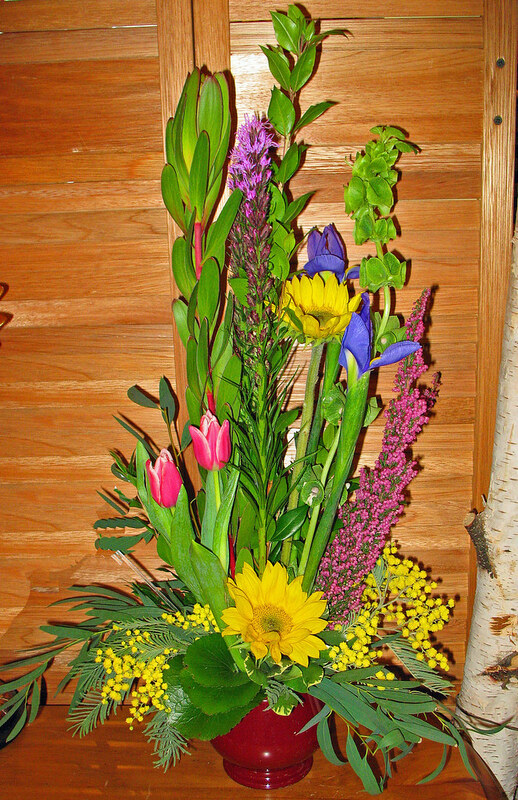 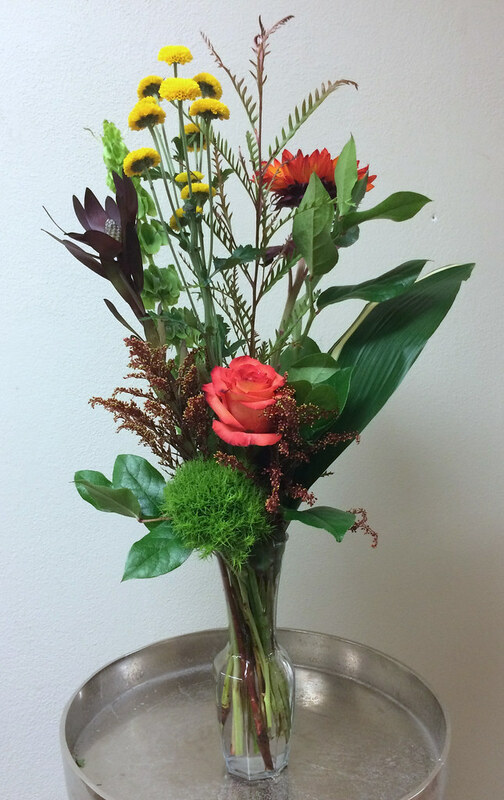 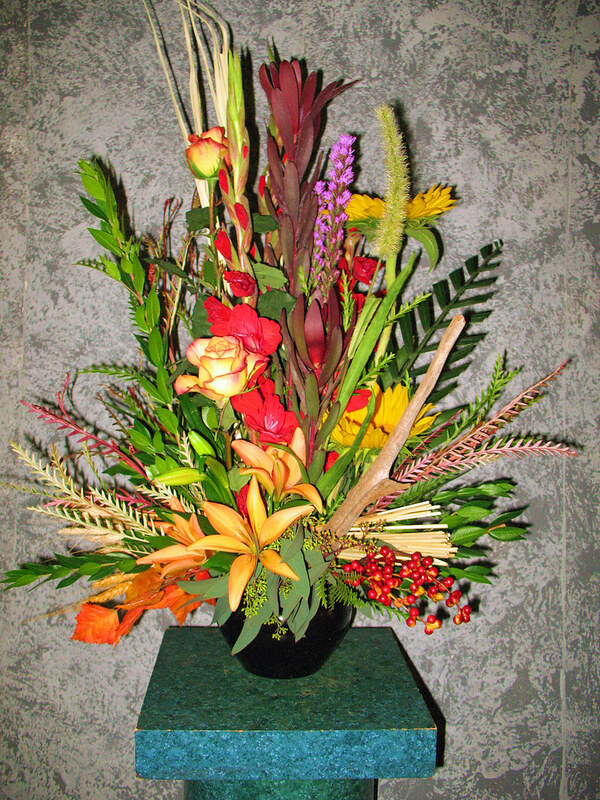 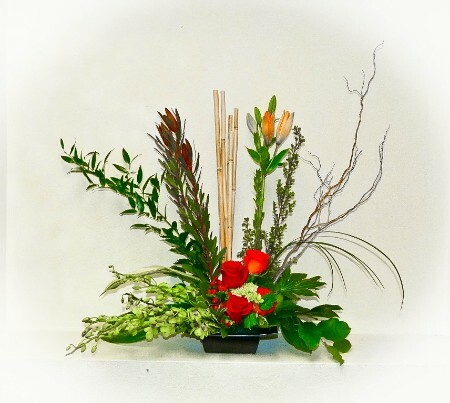 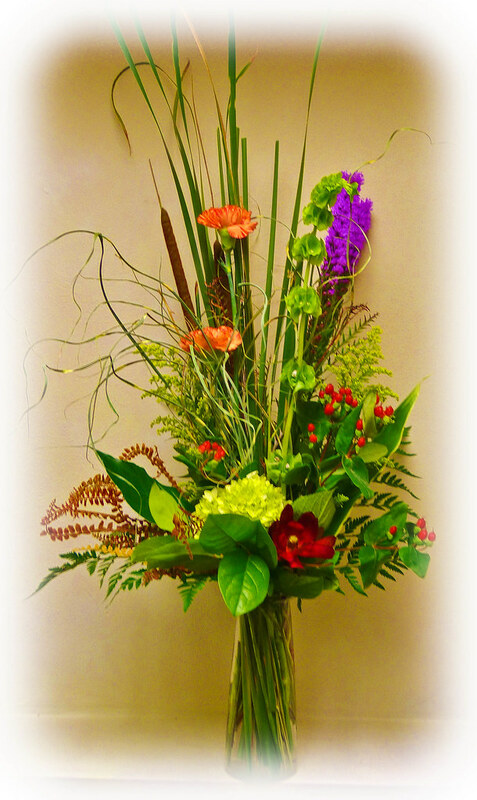 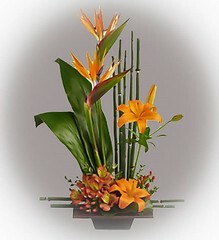 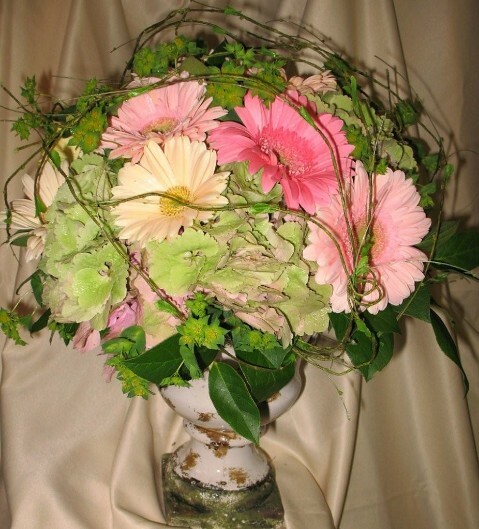 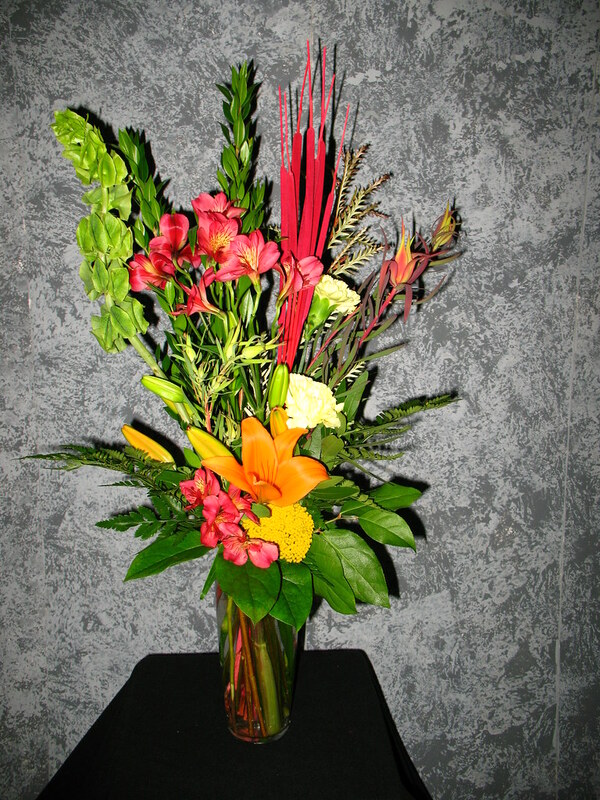 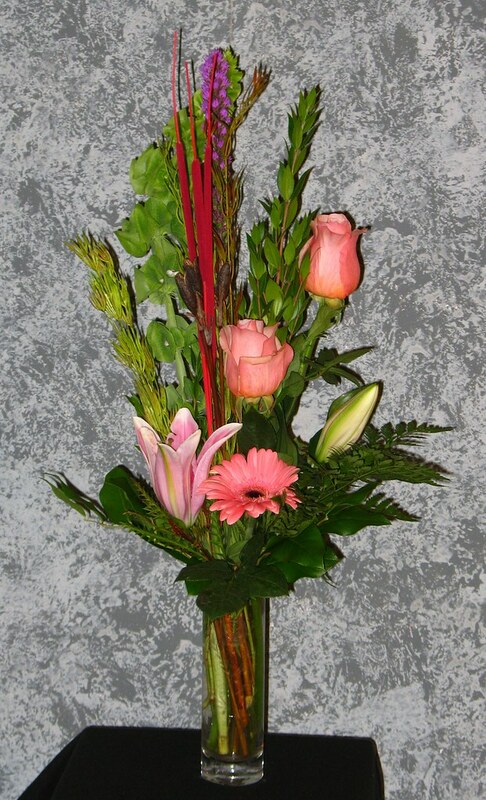 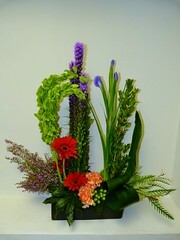 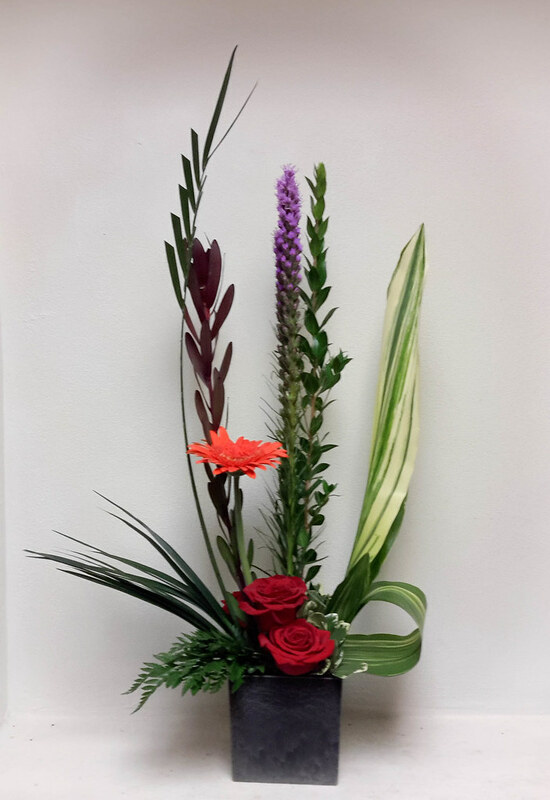 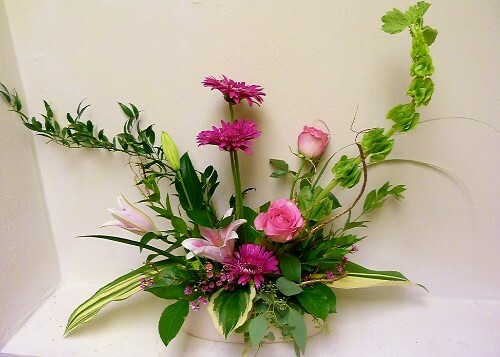 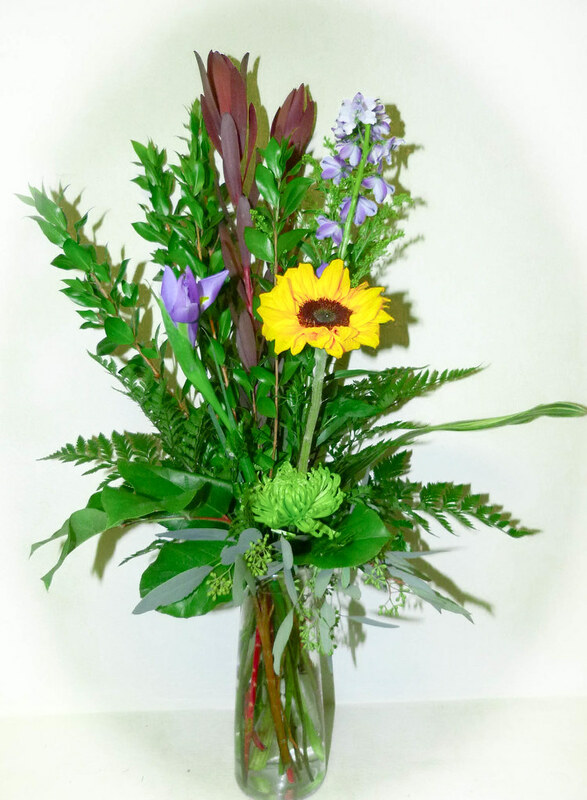 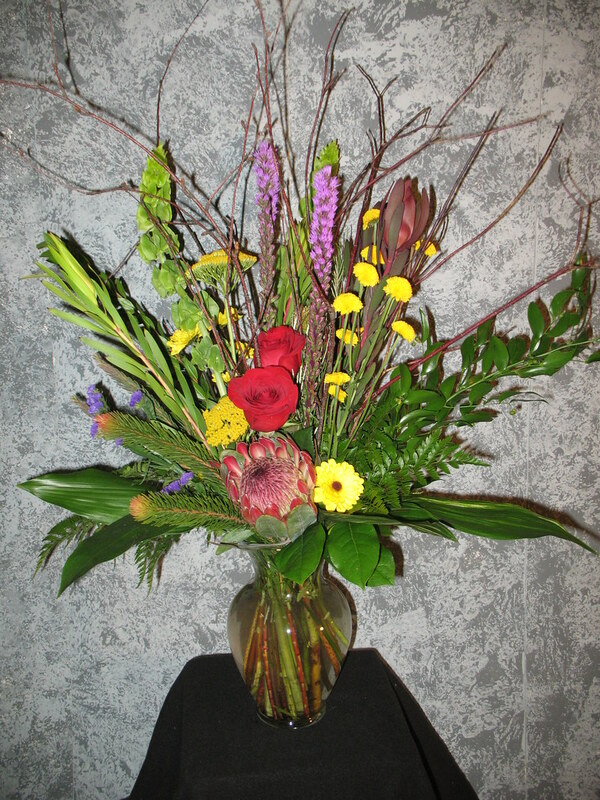 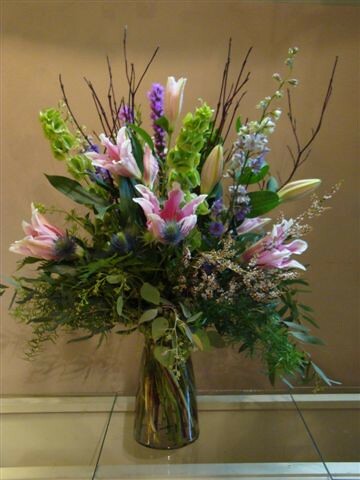 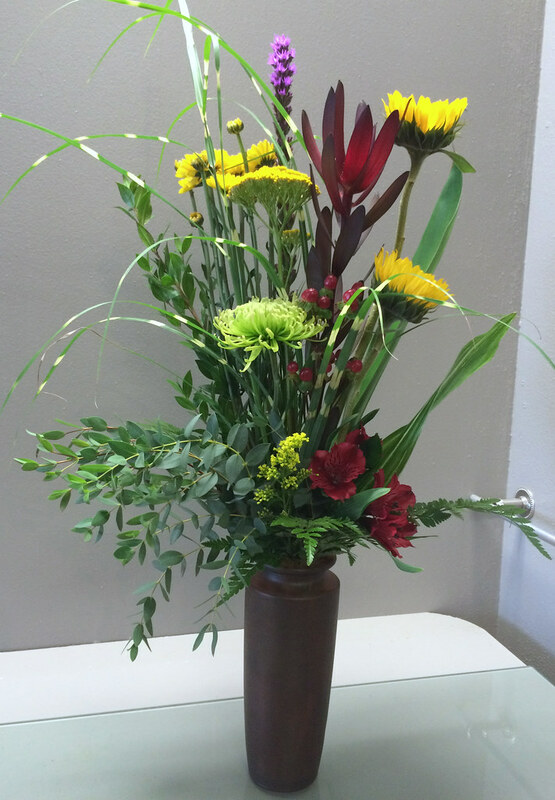 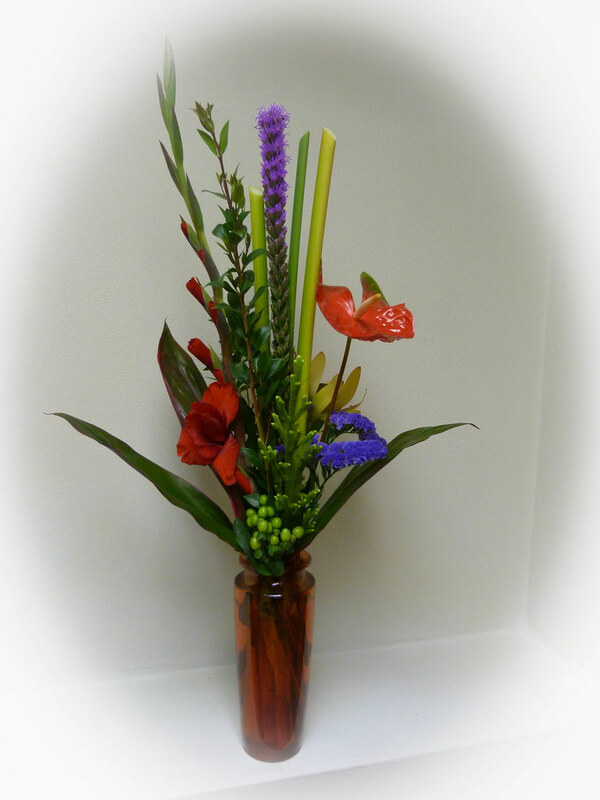 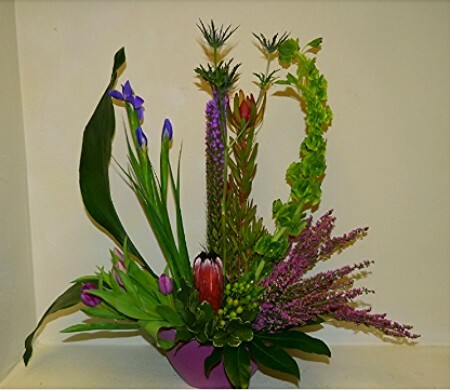 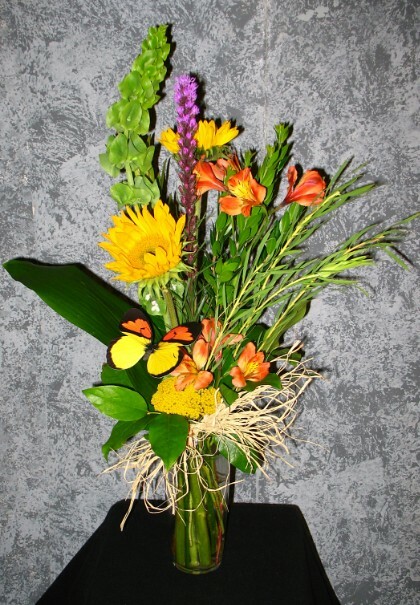 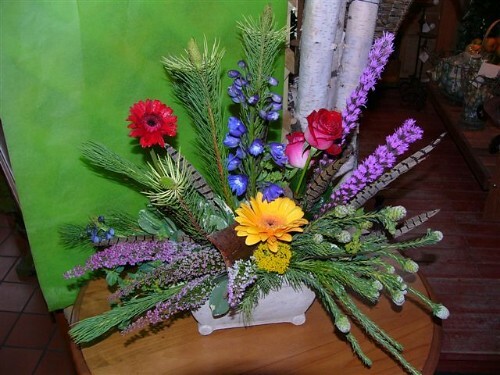 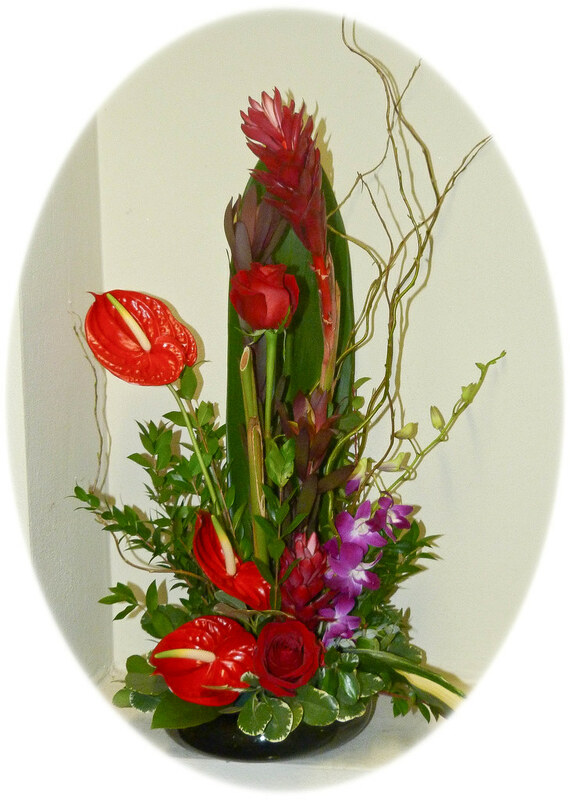 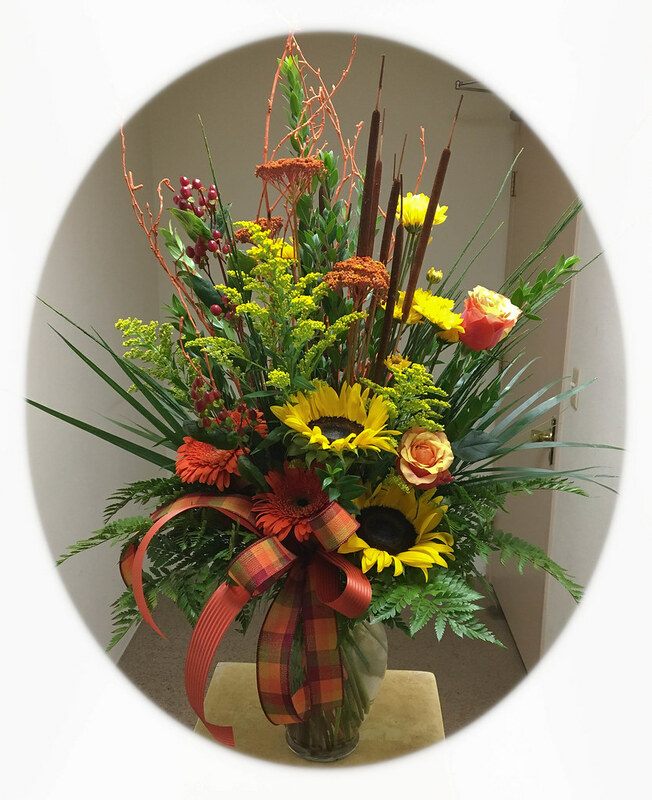 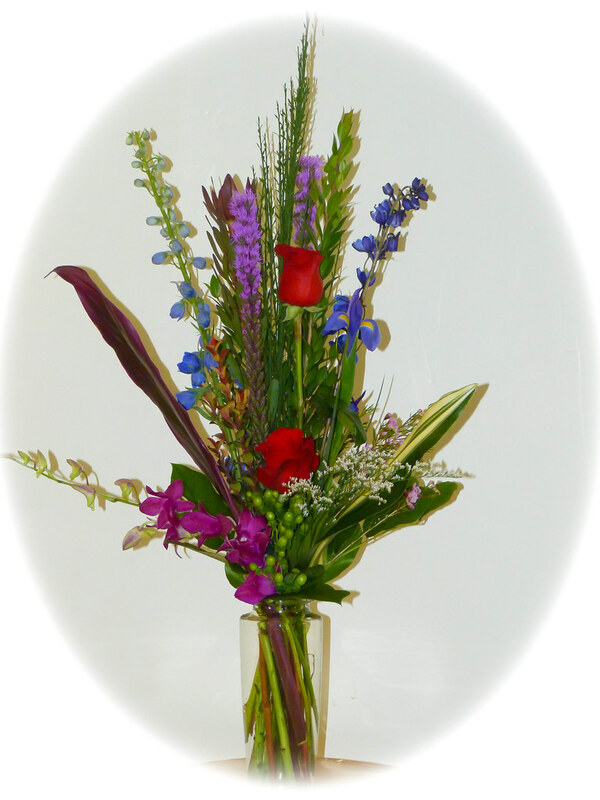 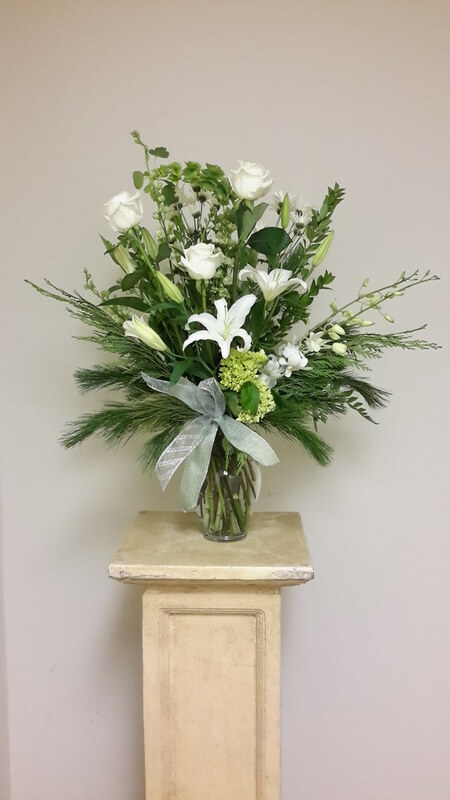 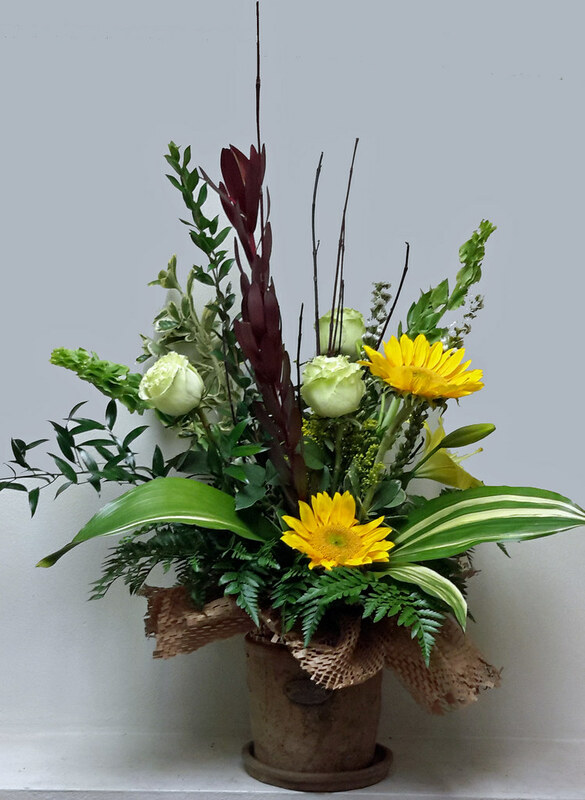 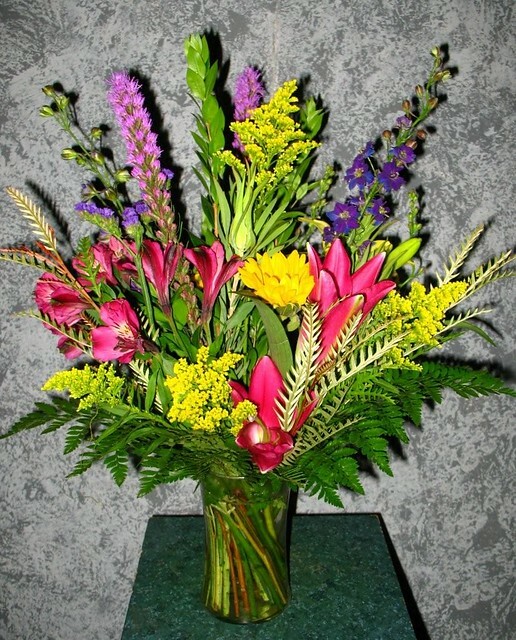 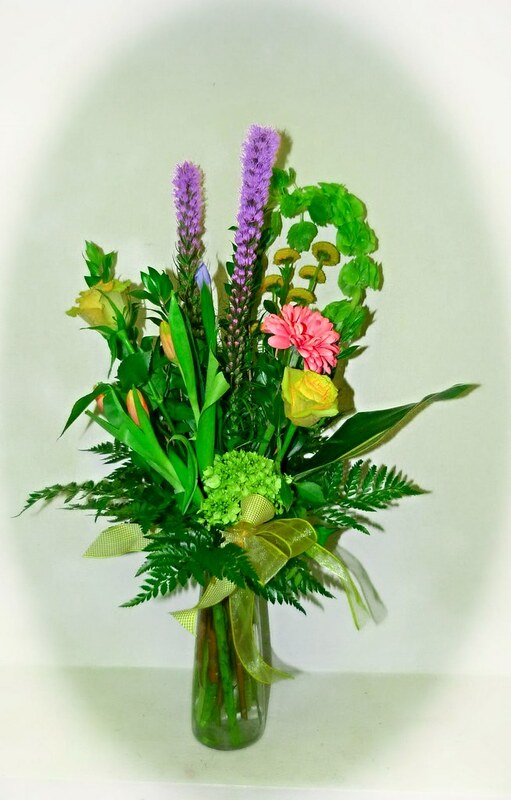 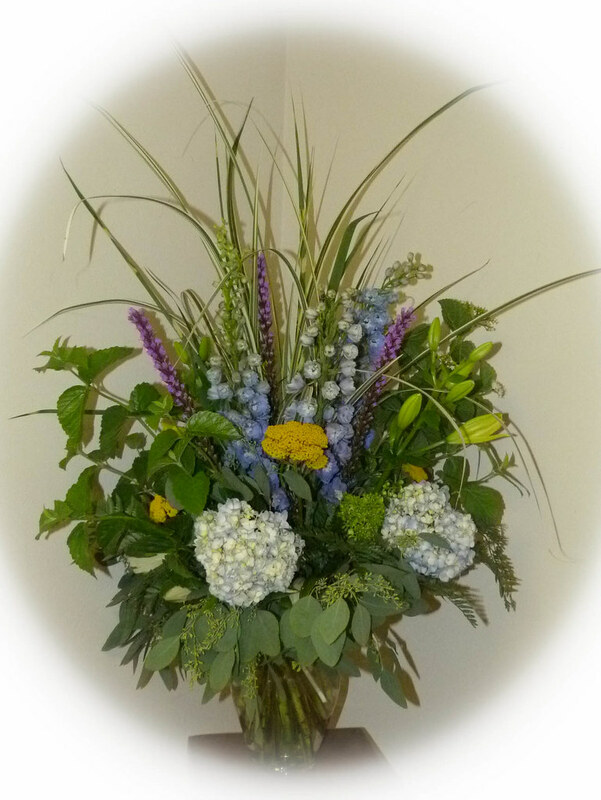 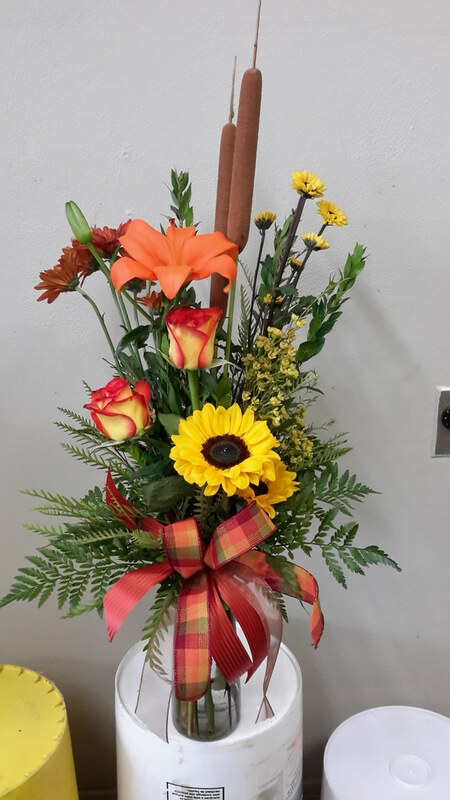 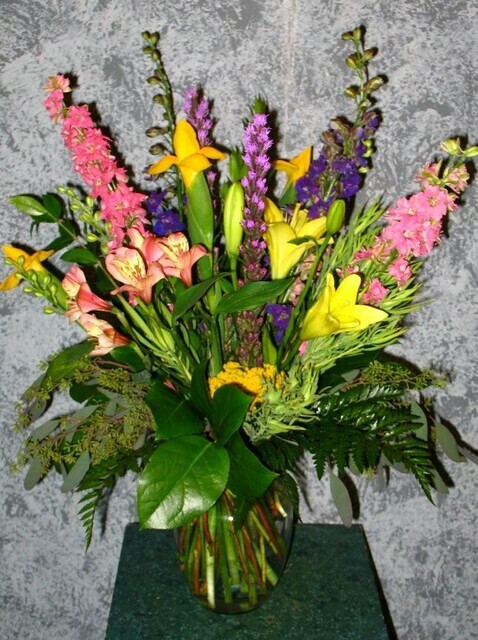 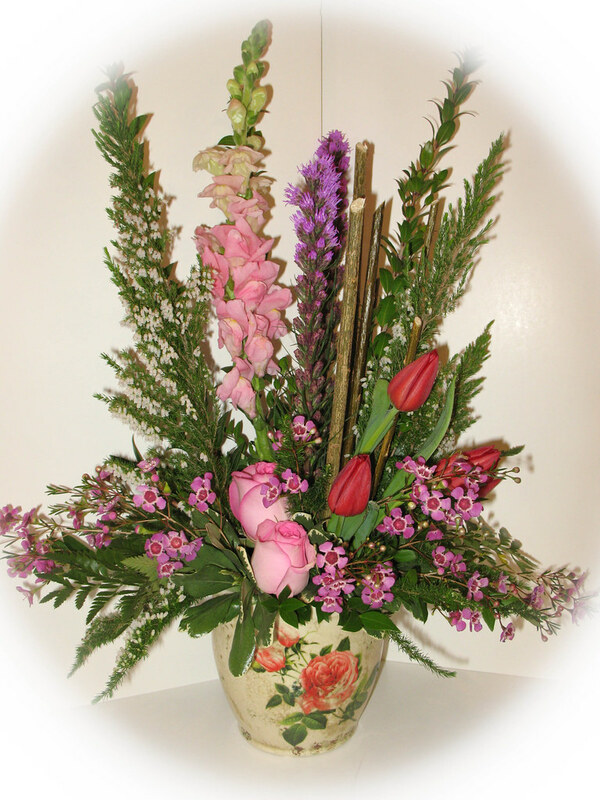 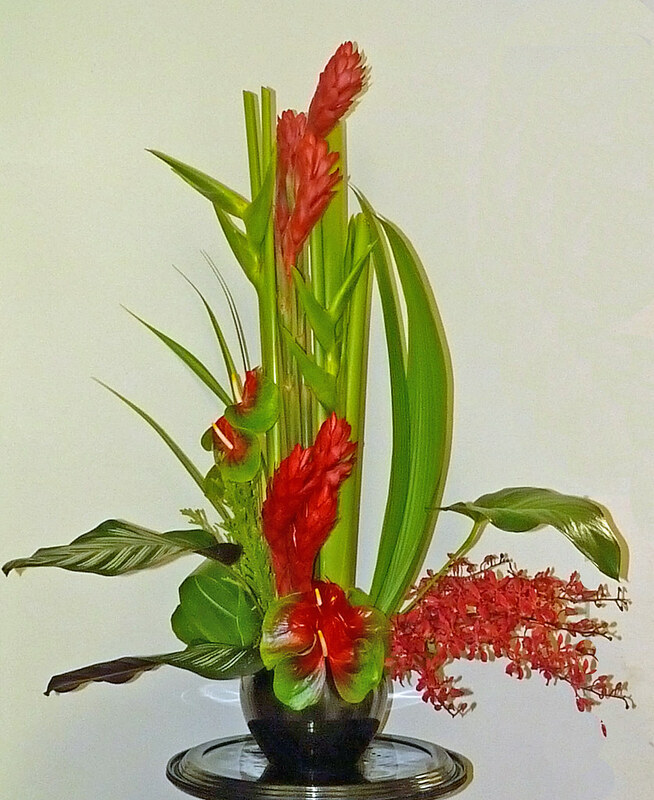 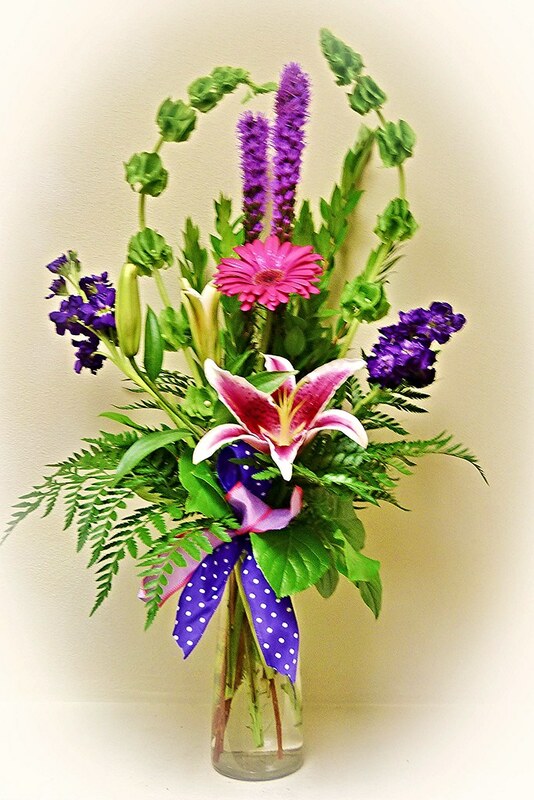 #01ED $75 as shown to $100 Stylized arrangement includes gerbera daisies, liatris, heather, delphinium, roses, and yarrow. 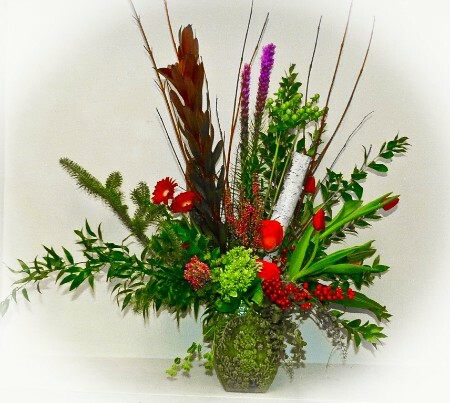 Faux pheasant feathers are an added touch to this design. #12ED $125 (as shown) Spray Roses Vased. 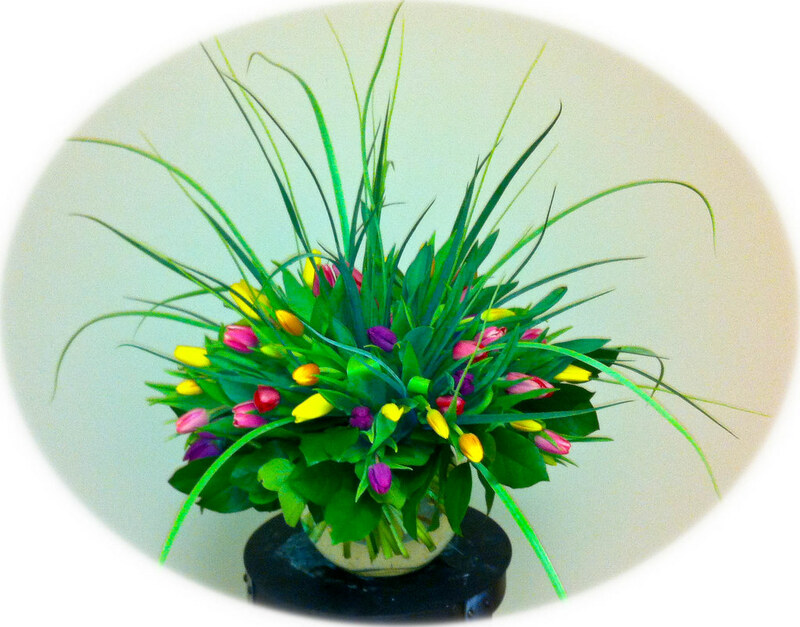 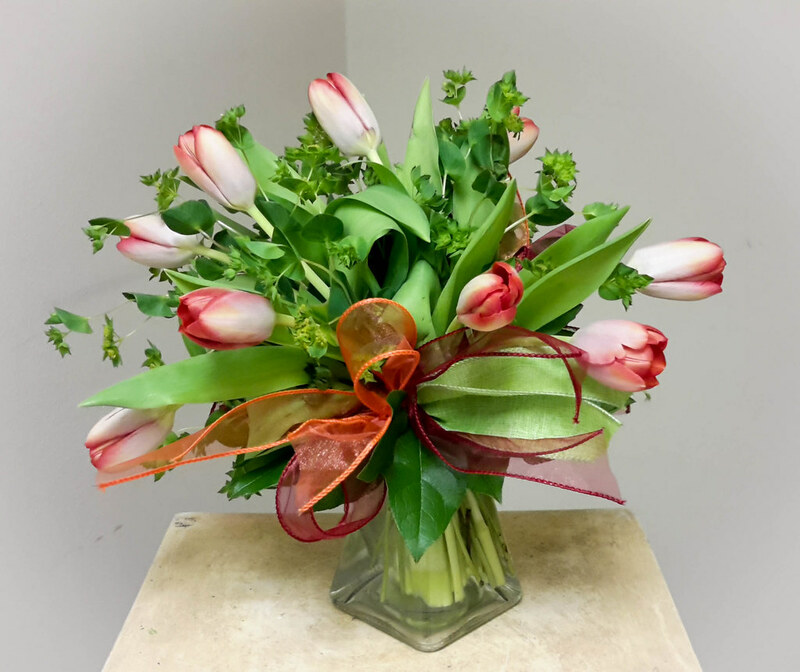 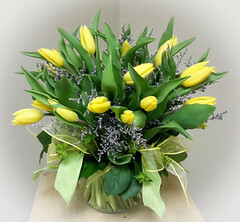 #53ED $35/ 10 Tulips $40/ 12 Tulips - $50/ 18 Tulips - $60/ 24 Tulip Bouquet! What could say spring more than a beautiful vase of tulips. 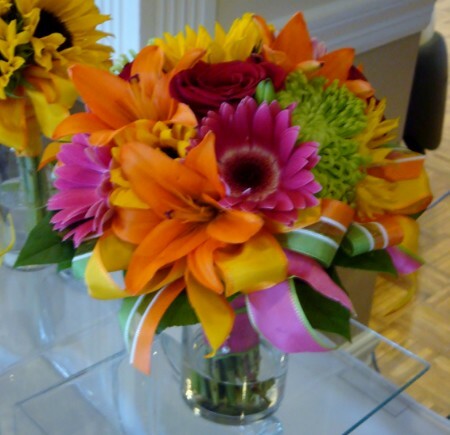 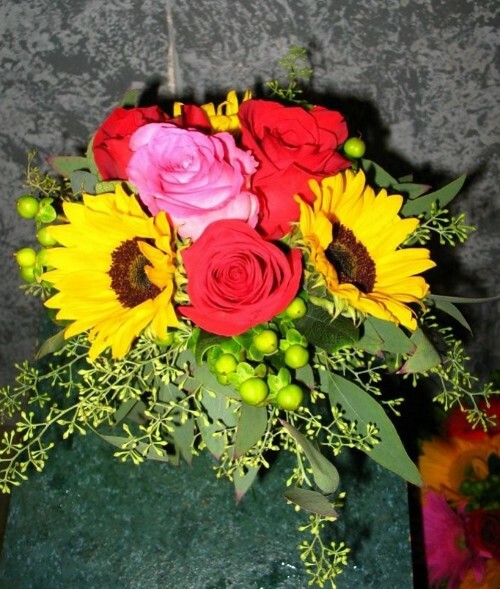 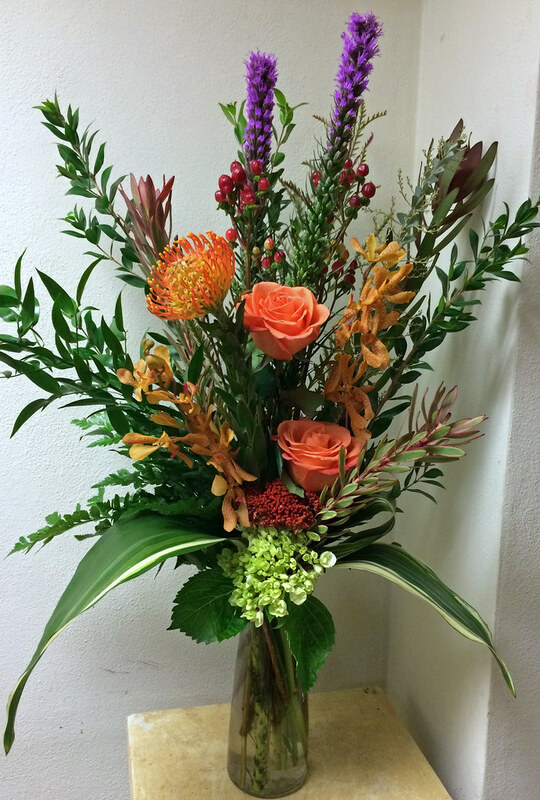 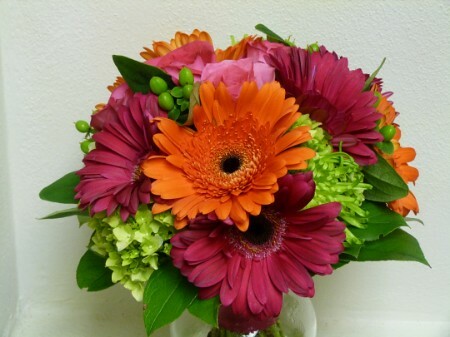 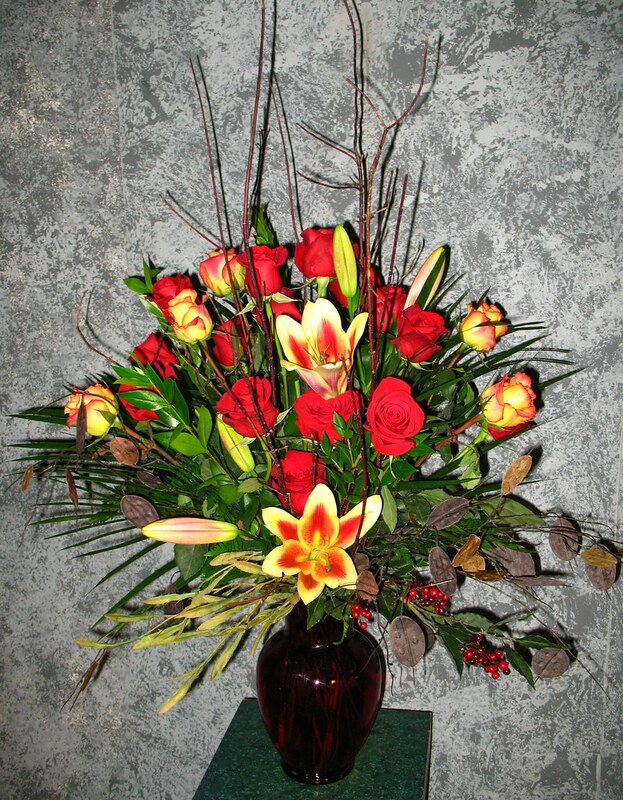 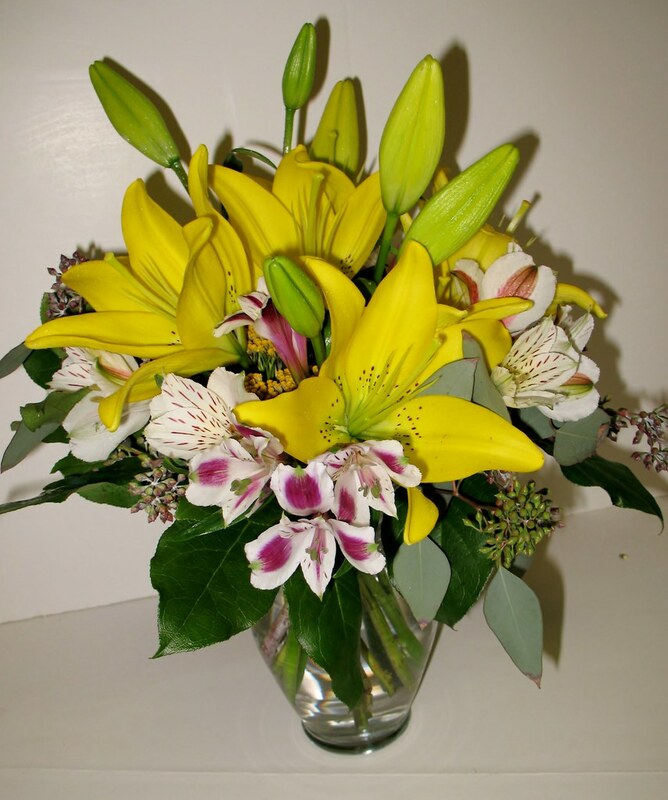 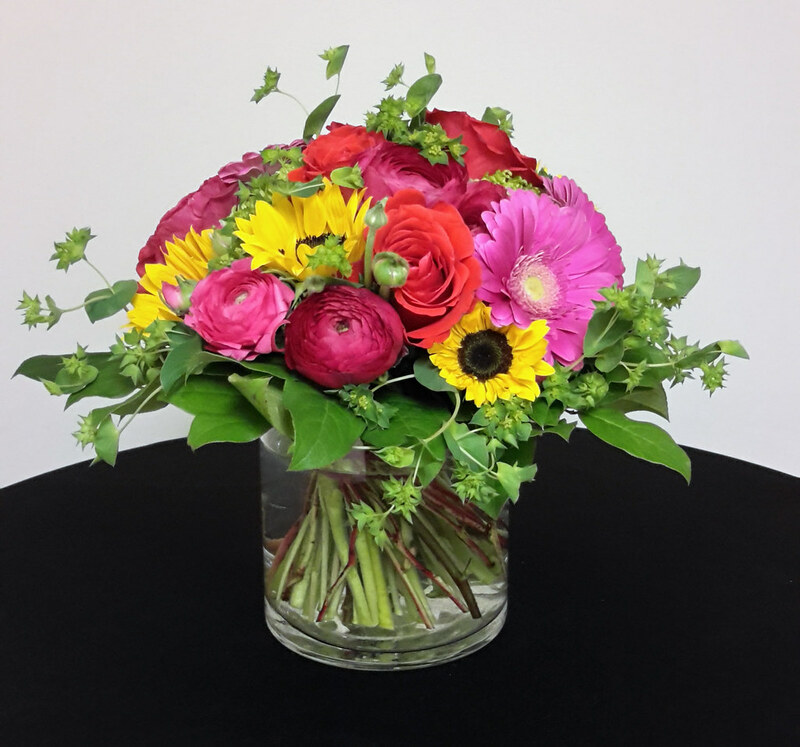 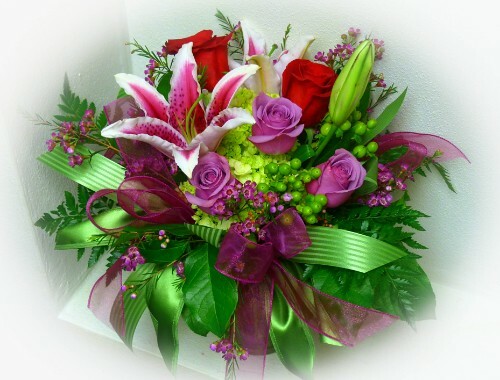 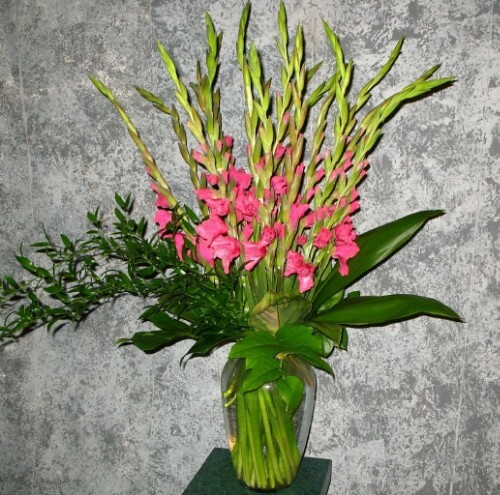 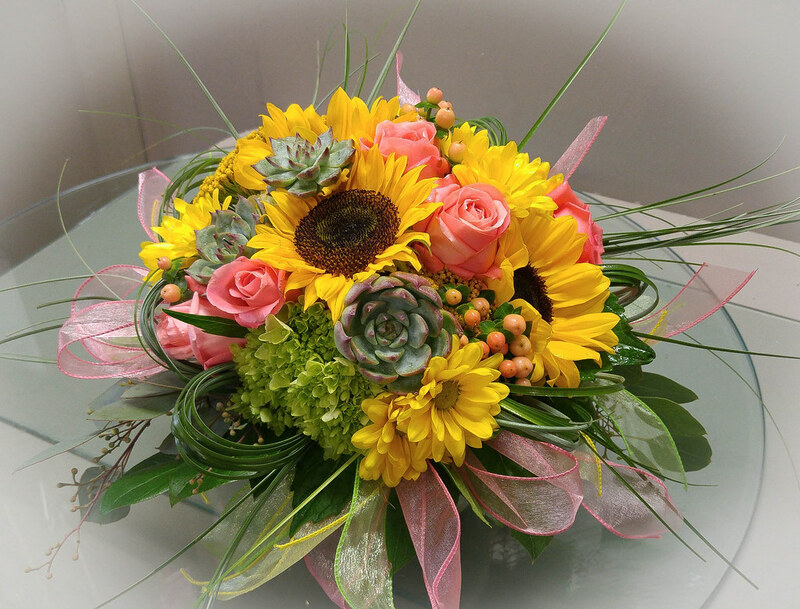 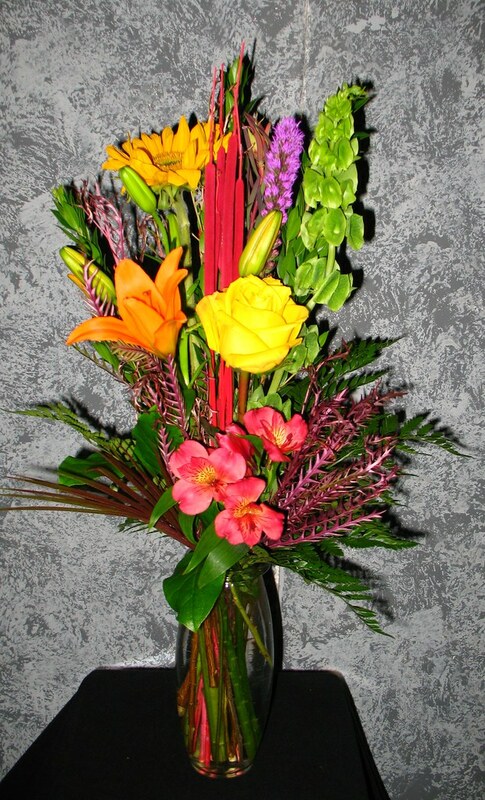 This bouquet would bring a smile to any recipients face! 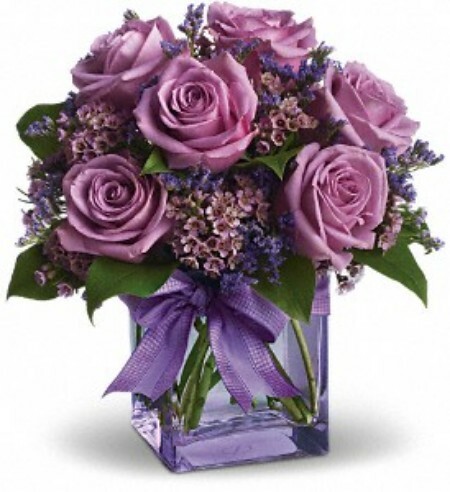 #16ED $65 12 Lavender roses, wax flower, and salal foliage. 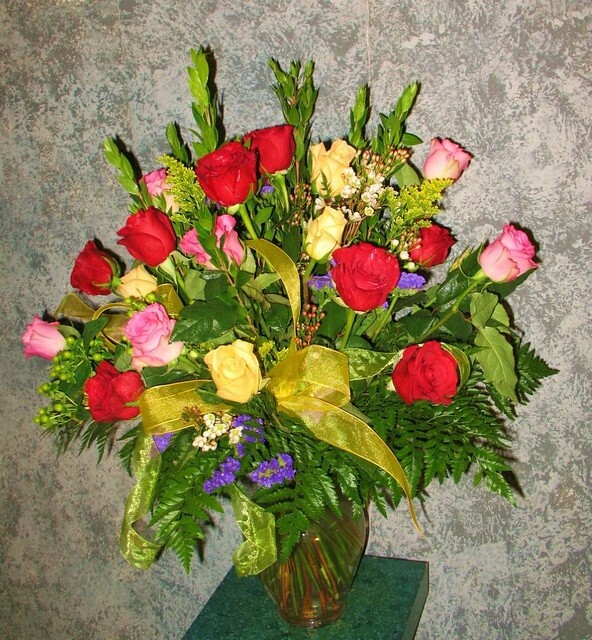 #08ED $65.95 Simply Elegant Roses. 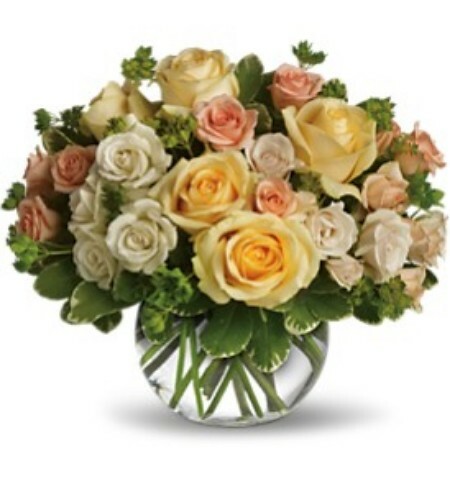 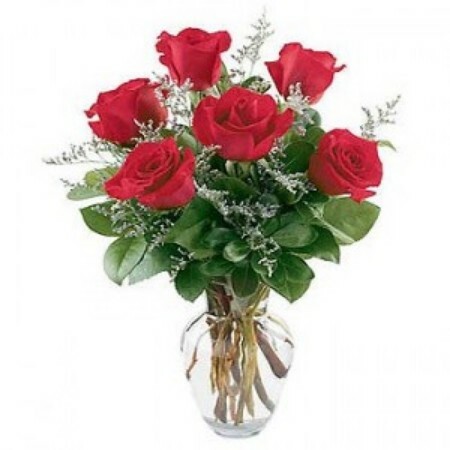 This compact design of one dozen roses in a square vase makes a lasting impression. 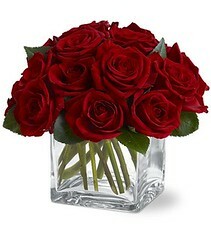 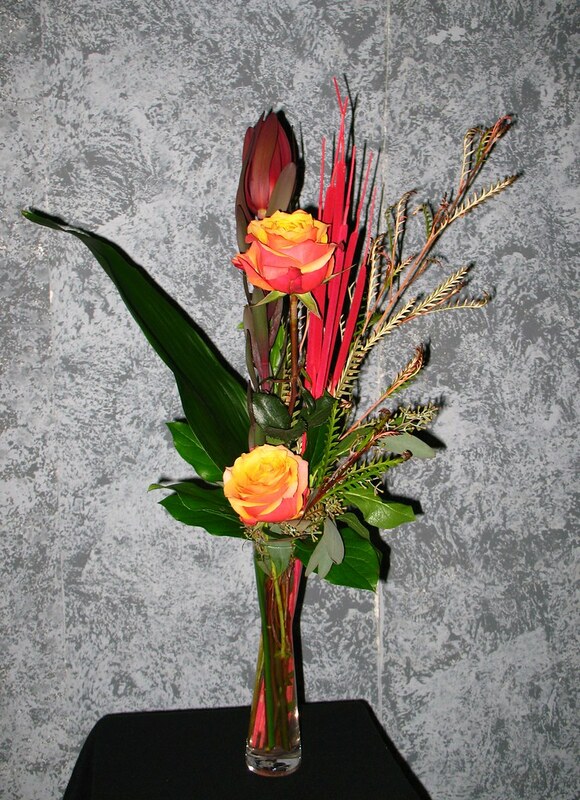 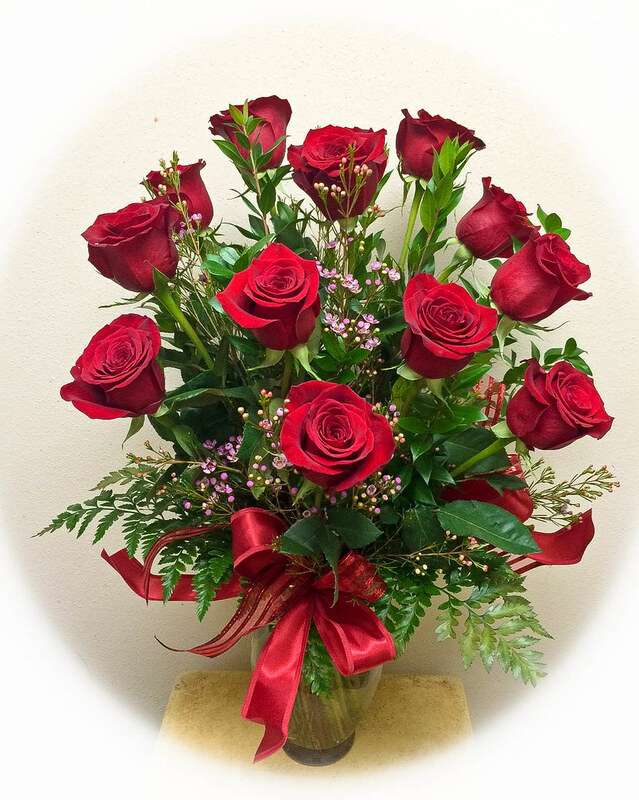 Roses cut short will last longer than the traditional long stem arrangement. 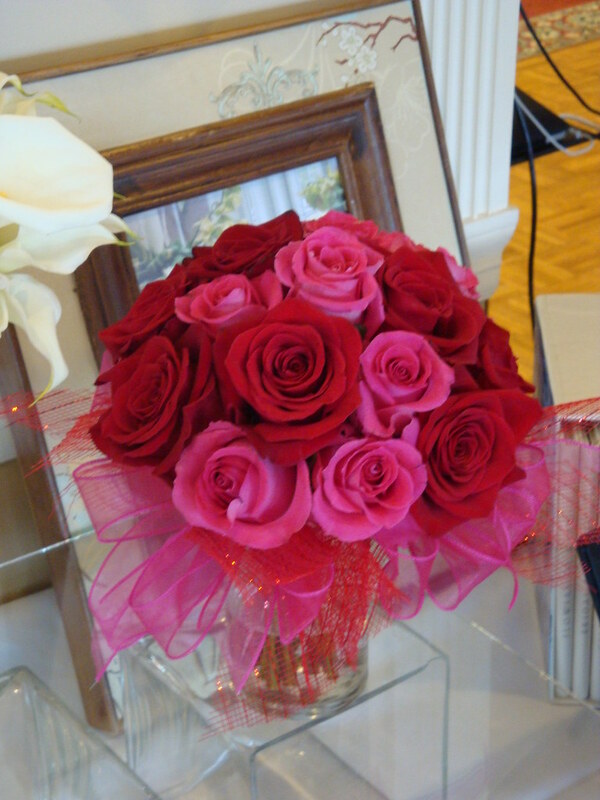 Add more roses for a larger impact.